One of the factors that influences smartphone purchasing decisions the most is battery life. At present, any phone that can last an entire day is considered good (yes, we know, it's not how it used to be). But, among all Android phones, which are the best? In the curation of this list, we have taken account of benchmark test results and our editors' real world experiences with the different devices. These excellent Android smartphones aren't listed in any particular order, and any listed here will provide you with above average battery life. Chinese manufacturer Huawei continues its rise to prominence even as the US market becomes increasingly difficult. The last flagship, the Huawei P20 Pro packs a 4,000 mAh battery into its slim, elegant body. Expectations for battery life were high after the Mate 10 Pro, and the newcomer didn't disappoint. Using the smartphone intensively to call, text, email, Facebook and Instagram, take photos, navigate with Google Maps and play some videos on YouTube, the P20 Pro managed to stay alive for about 1 day and 13 hours, with 20% battery life still available. Various tweaks and optimizations can be used to suit your habits and prolong the battery even more. The Mate 10 Pro has stood the test of time, and still ranks as one of the best options for the battery. We were able to test the Mate 10 Pro extensively, and it lasted a whole weekend without needing to be plugged in. The Mate 10 Pro's 4,000 mAh battery has lightning-fast quick charge capability. After 30 minutes the original accessory charges from 0 to 58 percent. However, wireless charging is not available and the battery cannot be easily replaced. This compact smartphone with a 2, 870 mAh battery is able to outlast most flagships when it comes to battery life. With its power saving modes active, the smartphone is able to last two days. However, be warned that the energy saving options can be less helpful depending on your use. 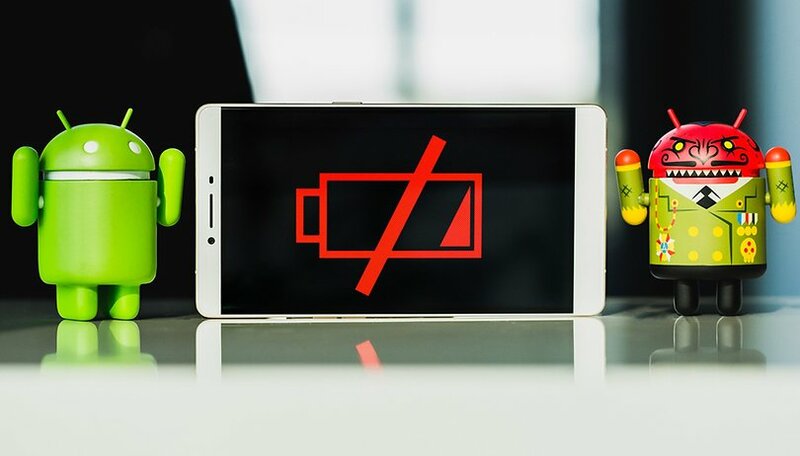 The energy savers can end up really slowing down the performance of the XZ2 Compact, and if everything is taking longer to load and run over a long session, then you battery might not be being saved so much. Keeping with tradition, the new Xperia XZ offers great battery life, although it's just a few hours less than the compact version. Although the 3180 mAh battery doesn't seem so much on paper, the phone is capable of incredibly long life thanks also to the Sony's software features for energy saving and intelligent charging via USB Type C.
The smartphone can safely provide more than 7 hours of screen time over one or even two days of use. If you're thrifty, I’m sure you can even reach 3 or 4 days of minimal use like quick calls, web queries and the occasional social media check-in. The Galaxy A8 (2018), Samsung's renewed mid-range of the year, brings an enhanced design that evokes the fabulous S-class. The new Galaxy A8 accommodates continues the tradition of endurance characteristic smartphones in the A series. The battery capacity is strong: the Galaxy A8 comes with a 3000 mAh battery. In everyday use, you will easily be able to use the phone for two days with some left over. If you’re a smartphone addict it will still last you a day and a half. Nokia has a good reputation when it comes to battery life, and the new 7 Plus clocks in as a smartphone with one of the most durable batteries around right now. In everyday use, it;s easy to get two days of full use without sacrificing GPS, Wi-Fi, 4G, or power-hungry apps. The 3800 mAh battery combined with optimized software and decent but not overwhelming technical specifications guarantees excellent battery life. Charging is via the USB Type-C port and fast charging supports 5V/3A, 9V/2A or 12V/1.5A standards. What do you think? Is there any other smartphone that deserves to be on this list? Feel free to let us know in a comment! Its not a rocket science to develop phone with 4000mAh battery last 6-7 hours SoT, quite oposite, its a shame and waste of system optimization. You should rate the phone with average battery life per 100mAh, then it should be more accurate. Why would I care for that!? OEMs could use that info in marketing, but it's all. My only concern is will it last whole day, no matter what I do with it. So, when they say 7h of SoT, and " whole day" battery, that means it's not good enough for me. I've had 3 Huawei phones. Mate2,8,9 The Mate2 won me over on battery life & how stable it was, so it was a no brainer to get the 8. Sold the 8 to a coworker who needed to replace a faulty older phone, so updated to the 9. 1 day of super heavy use is super easy, moderate use can yield 2 days. From the enthusiastic comments I see that there are a lot many phones whose users can boast of great battery life. Now we need an article on the phones with the WORST battery life. So that we can avoid them. I'm writing this from a Lenovo P2 which has a 5100mah battery. in my opinion the best there if on the market. GSM arena do in depths reviews of all phones and this tops the list. I'm coming from the 6P which we mediocre. I use satnav, Bluetooth, YouTube, messaging a lot of phonecalls, Kindle for reading and it uses about 35% per day. This is the best I have ever used. check out GSM arenas battery tests.. The only phones with the best battery life are the ones with removable batteries. From the Stylo 2 on, the double-size battery is also user-replaceable---a nice feature. So, you could have a spare battery charging externally while the phone is in use. I think it's the same one as in the V-10. Where is the mate 8 ?!! The 1+1 does not have a goodbattery life !! No Galaxy A9 Pro, Zenfone Max, Gionee Marathon M5 in list.. In the past I had an Xperia Z3 and using it continuously I was unable to get more than 3 hours of screen on time. I don't think it has really a good battery life. Now I use a Galaxy A5 2016 and on same conditions I get 8 hours of continuous usage. The Galaxy S7 edge listed here could also be a good option but not as good as A5 2016 because of its high resolution and speed, which consumes much power. mate stop with this bulls**its !!! xperia z3 was best smartphone in battery and still is even s7 edge can't beat it ! !